Yesterday I promised that I would examine two of the many recordings scheduled for release this coming Friday, one from the eighteenth century and the other from the twentieth. I began yesterday with the earlier album, a stimulating survey of rarely-encountered chamber music by Antonio Vivaldi. 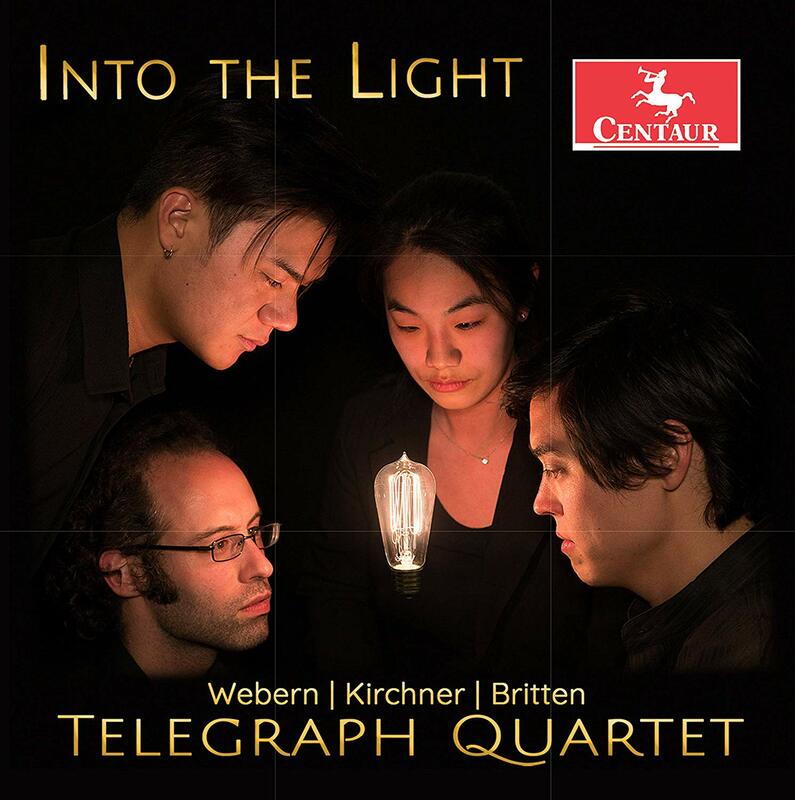 The twentieth-century offering is the debut album of the Telegraph Quartet, an ensemble based here in the Bay Area that was formed in 2013 and has been presenting consistently satisfying and adventurous programs to local audiences since then. The two violinists, Eric Chin and Joseph Maile, share responsibility for leading; and they are joined by violist Pei-Ling Lin and cellist Jeremiah Shaw. With these three brief works for string quartet, we wanted to share with all of you our passion for possibility. We chose these particular works because there is so much to be found emotionally in each of them and because they reveal musical landscapes not nearly as often explored as others in the world of quartets. These landscapes are certainly not fallow ground—there have been other musicians blazing these trails before we came along—but we love the idea of bringing these works further into the light, bringing them out of the shadows of the more often celebrated, albeit totally justified, string quartet favorites. The “three brief works” are, in order of appearance, Leon Kirchner’s first string quartet (1949), the five short pieces of Anton Webern’s Opus 5 collection (1905), and Benjamin Britten’s 1936 collection of three “divertimenti.” All three of these pieces were represented when Telegraph gave its first performance in Herbst Theatre, in February of 2017, under the auspices of San Francisco Performances at the annual concert that showcases winners of the Walter W. Naumburg Chamber Music Award. The program included both the Webern and Kirchner selections, and the encore was the second movement of the Britten collection. As usual, this recording is currently available for pre-order from Amazon.com. Nevertheless, the “pedigree” of Kirchner’s first quartet owes more to Béla Bartók than to any of the Second Viennese School composers. Indeed, the booklet includes the anecdote of an unnamed listener declaring Kirchner’s first quartet to be Bartók’s seventh! Presumably, this was meant as a compliment; and it may also acknowledge an interesting approach to the similarity. While there have been academic efforts to explore atonality in Bartók’s music, it would be fairer to say that Bartók had found ways to avoid the “gravitational pull” of the dominant-tonic cadence without abandoning a similar “pull” from individual pitches. The more I listen to Kirchner’s quartet, the more inclined I am to believe that he may have been exploring how to take that strategy in new directions. However, it goes without saying that such thoughts would not have been possible were it not for the clear account that Telegraph has provided to Kirchner’s score, first in their recitals and subsequently on this recording. This is a reading that has established its own ideas of foreground and background as they apply to phrase structure and often to individual notes. Given how little attention Kirchner’s music has received since his death in 2009, Telegraph clearly has the potential for giving all four of his string quartets well-considered accounts (and that includes the third quartet, which requires an obbligato tape of synthesized electronic music). One might say that each individual piece serves up its own strategy for avoiding the dominant-tonic cadence. Techniques include sharply angular motifs in which none of the notes is “secondary” to the others, strong dependence on changes in dynamic levels to establish a sense of how the music “flows” from beginning to end, and highly adventurous approaches to sonority as a new technique for highlighting those beginning-to-end journeys. Each of the pieces is almost like an intricately designed mosaic in which both individual tiles and their overall combination are overflowing with structural details. 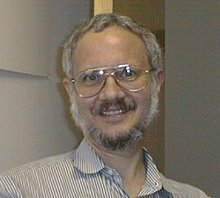 Nevertheless, listening cannot be an experience of merely cataloging that plethora of details; and Telegraph’s command of the score emerges in their ability to endow each piece with its own characteristic discourse strategy that attracts and then maintains the attention of the committed listener. Given the intensity of both the Kirchner and Webern offerings, the selection of Britten as an encore for the Naumburg recital came like a breath of fresh air; and it serves a similar function on the Into the Light album. There is a tendency to think of Britten as a deadly serious composer, but there is no shortage of wit that can be harvested from many of his early compositions. His string quartet divertimenti were first written in 1933 (the year in which Britten turned twenty), revised in 1936, and never assigned an opus number. By 1936 Britten had already established his playful side with his Opus 4 “Simple Symphony” (1934) and his frolicsome arrangements of short pieces by Gioachino Rossini (the so-called “sins” of his old age) in the Opus 9 suite Soirées musicales (1936). The equally playful Opus 10 set of variations on a theme by Britten’s teacher Frank Bridge would appear the following year.